Cadets in the ATC have the opportunity to fly in Light Aircraft and Gliders as well as RAF and Civil Aircraft. The ATC has it's own fleet of aircraft, in which cadets are given the opportunity to fly with Royal Airforce pilots. The flying takes place at one of 12 Air Experience Flights (AEF) that spread accross the British Isles. 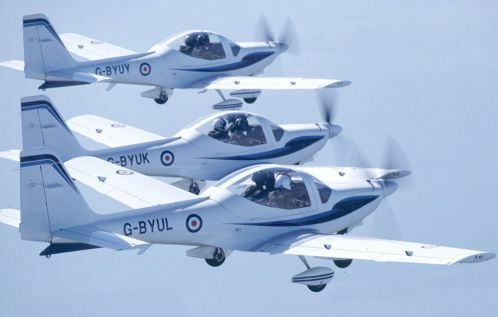 The AEF use the Grob Tutor aircraft to provide the flying experience for the cadets. Cadets are shown how the aircraft is flown and are given the chance to control the aircraft, experience aerobatics or just to enjoy the view. The AEF's are tasked to provide the opportunity for each cadet to have 25 minutes flying per year. Cadets often get the chance to participate in flights of opportunity with the RAF. These flights can take place in any nearly RAF - some lucky cadets manage to gain flights in 'fast jets' such as the Tornado. It is not unusal for cadets on camp to be given the chance to fly in a wide varity of aircraft and helicopters, sometimes even abroad. 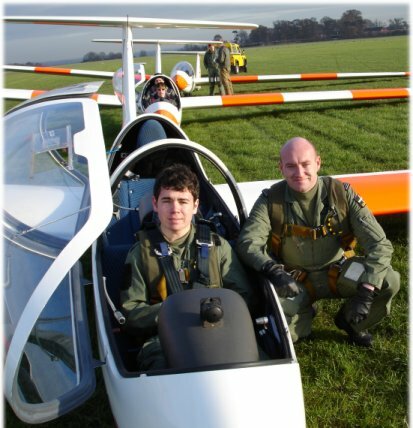 Alongside Powered flying cadets also are given the opportunity to go gliding on a regular basis. This is done at a Volunteer Gliding Squadron (VGS), using the winch launch Viking or the Self Launching Vigilant. Training on gliders begins with a Gliding Induction Course (GIC). There are 3 levels that teach the cadet the effects of aerodynamics and the control of a glider in the air. Cadets are given the opportunity to take control and practice what they have learned. After completion of all 3 GIC levels, a cadet may apply for a gliding scholarship to gain their GS wings. If they are good enough they will be invitied to train to fly solo and gain their GS Solo Wings. Those cadets with the best apptitude maybe invited to become Flight Staff Cadets at the VGS. They will be trained to a higher standard and if successful will be entitled to wear the gold AGT (Advanced Glider Training) Wings.